The Toronto-Dominion Bank (TD) received a boost over the weekend as one firm gave it an “outperform” rating. National Bank Financial, one of the largest investment banks in Canada, reissued its rating in a report, according to Marketbeat. 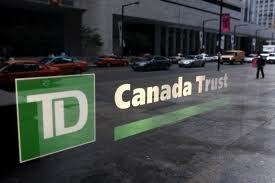 As it stands, TD, the commercial banking corporation, has a $59.00 price objective on the stock. This is up $1 from their previous price objective and this indicates a potential upside of 43.83% from the company’s current price. TD Bank has a 52-week low of $35.93 and high of $48.11. Macquarie also gave the company an “outperform” rating while Zacks investment research had given TD a “buy” rating. Canaccord Genuity reissued a “hold” rating on shares while Scotiabank has issued a “sector perform” rating.